Last year at Nintendo's Pokemon Game Show, Pokemon Company's CEO, Tsunekazu Ishihara, revealed a couple of teasers for two games that were in the making. The first was an image of a future Pikachu Detective game, and the other was a three second blurry clip of Lucario on the battlefield with Blaziken. Fans became excited and were eager to see more clues about the game but were given nothing else regarding any details of when they could expect to see it in action. Then earlier last week, Nintendo hinted that fans would be given a glimpse of their new game that was to be announced today, August 26th. In the above video, we can see a 3D version of Lucario and Machamp facing off in an arcade-style fight scene on a classic Pokemon field. Pokken Tournament is a 2-Player Tekken based arcade game. Players will be battling as their favorite Pokemon against one another to find out who's better. Other than Lucario, Blaziken and Machamp, it's unknown what other Pokemon will be making an appearance in the new game. Since the game is a Tekken type of game, some can speculate that only fighting Pokemon will be involved. As you can expect, Pokken is going to be developed by Nintendo. Tekkens publisher, Bandai Namco has also partnered with Nintendo to make this game a possibility. The game doesn't have a set release date, but is expected to be released sometime in 2015. The arcade system is being developed in Nintendo Japan and is set to only be distributed in Japan with no future plans on a North American and European edition. But when asked during the conference about a console release, Ishihara talked about it being on "arcade first" giving us reason to believe that they might have other plans. The likely-hood of this happening is slim, but another clue as to a future console release is the fact that at the end of the preview, Nintendo showed their copyright which they filed earlier in the US and EU. As small of a possibility, there still is one. Fans can start playing Omega Ruby and Alpha Sapphire to fill their time until more information unfolds. 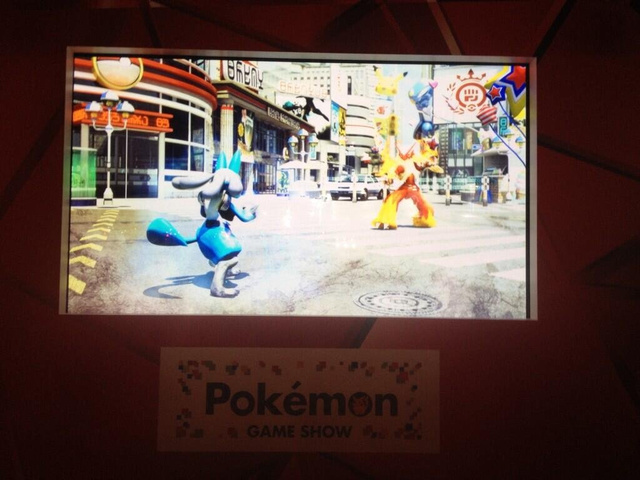 Picture from Nintendo's 2013 Pokemon Show. This game looks great. Though I haven't played a Pokemon game in years, this one looks quite interesting. If it does make it's way to North America and Europe, I hope that it is made available on other consoles. No body seems to go to Arcades anymore. And thanks to nycfinest718 for showing me the video. I was looking for information when he posted it. Article originally written by Jedi. Article edited and published by Cakes.